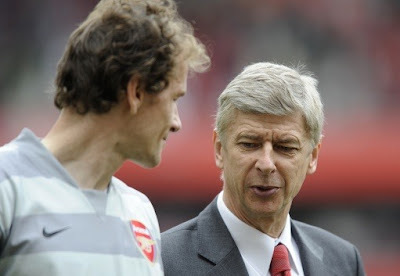 Arsene Wenger has confirmed German goalkeeper Jens Lehmann is close to signing for Arsenal until the end of the season. The Arsenal manager confirmed Lehmann would take a place on his substitutes bench for Saturday's match with West Brom. "Lehmann is training with us and will sign for the rest of the season. "We have no cover in the Premier League, so that is why I decided to bring Jens back. "He has not signed, but it [a contract] has been agreed." The German, 41, comes into the Arsenal squad after injuries to Wojciech Szczesny, Lukasz Fabianski and Vito Mannone.